The acclaimed live magazine is back with a new Winter Issue show! 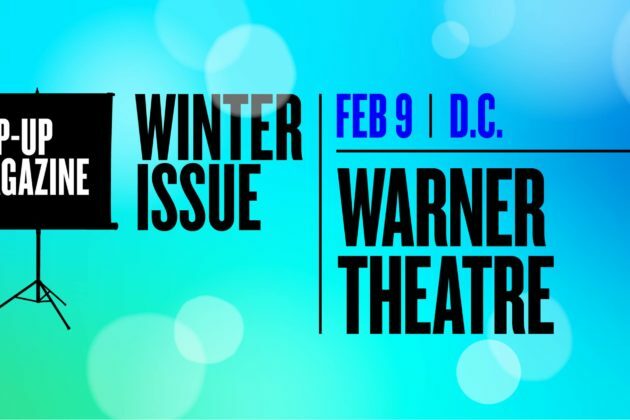 Contributors to the 2019 Winter Issue show in Washington, D.C. include musician Will Butler (Arcade Fire); writers Jason Concepcion (The Ringer) and Francesca Mari (California Sunday Magazine, Texas Monthly); filmmakers Sam Green (A Thousand Thoughts, The Weather Underground), Jason Hanasik (The Guardian, Los Angeles Times, SFFILM’s FilmHouse), Sophia Nahli Allison (Sundance Institute New Frontier Lab); and audio producers James T. Green (The Outline, Gimlet Media’s The Nod) and Sam Harnett (KQED). The 2019 Winter Issue will change the way we think about memory; pay homage to one of the fathers of the electric guitar; examine the aftermath of an infamous, viral moment in Olympics history; bring back to life a 500-year-old, lost genre of music; and much, much more.